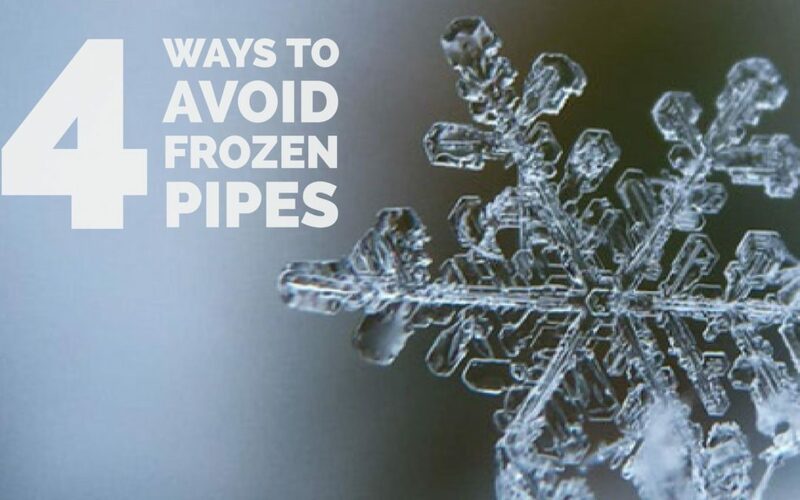 It is possible, and easy, to prevent freezing pipes and the costly damage that goes with them, but only if you plan! Plumbing on the exterior of the home. Protect your pipes by insulating them. Some pipes inside the home, like the basement, can be insulated by wrapping newspaper around them. However, in colder areas, it’s better to invest in foam tube insulation. For extreme cold temperatures, you may need to use heated tape specially designed for pipes. When the cold dips below freezing, leave the doors of your sink cabinets open overnight. Exposing those pipes to the heat inside your home can make a big difference. Keep in mind that if you have any chemical cleaning supplies under your sink, keep it away from pets or children while you leave your cabinets open. If you do have a broken/ frozen pipe, you need to know how to shut off your home’s entire water supply. Doing so can save you from major flood damage. Make sure you know where your main shut-off valve is located and be prepared to use it in the case of a frozen pipe.